I am Maharashtra and as many other states think, I am not a drama queen, if one wants to know about being a drama queen, I will show you, there are several actors working in Bollywood and I have to see their faces daily. Imagine that for starters! I am famous for Bollywood, okay, but what about the tourist attractions? Forts, beaches, hill stations and many others.“ What many other?” you may question, hold your horses I would answer. Caves in Maharashtra!, “caves are boring” you would say and yet again I would answer patiently. List of caves in Maharashtra includes Ajanta, Elephanta, Aurangabad, Kanheri, Ellora, Bhaja, Karla, Pitalkhora, Pandavleni etc. These are some of the famous caves in Maharashtra you have heard before, have you not? Perhaps, your textbooks will remind you where they are and what they are. Yes, they all are caves and situated in Maharashtra, in fact, I am the state with these beautiful caves that speak the glory of the eras gone by. Many people think that caves in Maharashtra are boring and have nothing to offer for a tourist to travel that far and then to enter the void. 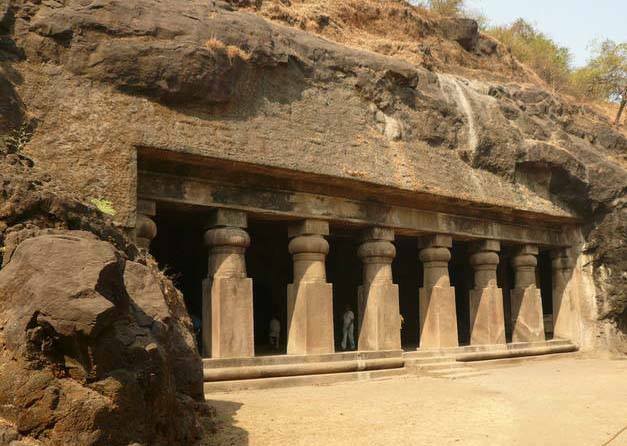 We might just do that at our house with a blanket, is it not?, but what if I told you that I can offer you Maharashtra caves with exciting memories inside of them? These caves of Maharashtra are no normal and are not just “null voids of emptiness” like all others. These caves have seen the wisest and oldest of monks meditating in them, the priests of Hinduism, Buddhism, and Jainism created many of them. As old as 2nd century BC, some of these Buddhist caves in Maharashtra took almost 4 centuries to finish and were completed only in the 6th century BC. Imagine how big they would be, fascinating, is it not? No surprise though, about being declared a UNESCO world heritage site. Neither the mystical aura nor the size of these caves in Maharashtra can be explained by words. You just have to visit me in order to know them better. Nice blog about caves in Maharashtra. Maharashtra has huge history and many caves are here are build 1000 years ago. the best things about these caves are the paintings in the caves. Its a mixture of art and culture. I think you forgot to mention ” Kanheri caves ” of national park borivali, mumbai.